Montmorency Tart Cherries. Washed, pitted and individually quick frozen. No sugar or water added. These cherries are great for pies, jams or just eating fresh. In a medium bowl, combine cherries, granulated sugar, tapioca and almond extract; mix well. (It is not necessary to thaw cherries before using.) Let cherry mixture stand 15 minutes. Tart cherries are excellent sources of beta carotene (vitamin A). In fact, they contain 19 times the beta carotene of blueberries and strawberries. Cherries also are rich in vitamins C and E, and provide potassium, magnesium, iron, folate and fiber. Tart cherries are one of the few known food sources of melatonin -- a potent antioxidant that helps regulate our circadian rhythms and natural sleep patterns. Eating about 20 tart cherries a day could reduce inflammatory pain and benefit you with antioxidant protection. When ordering keep in mind that if you want the tart cherries to arrive frozen you need to choose an overnight or 1 day shipping option. If you choose another shipping option the tart cherries will thaw some, but can be re-froze when you receive them. Each 5 Lb. 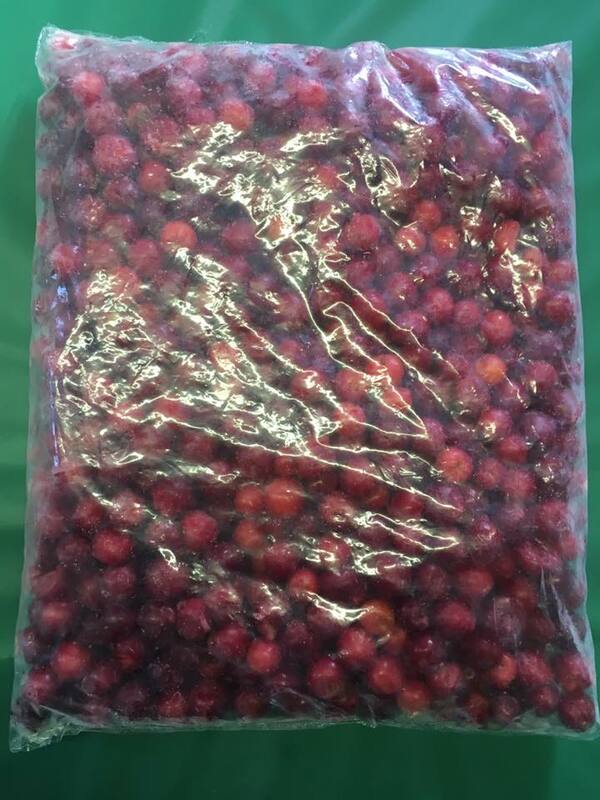 bag of tart cherries is packed in its own styro-foam cooler with 2 large gel ice packs and then it is placed into a cardboard box for shipping. We ship Monday and Wednesday of every week all year long excluding holidays. Keep in mind when ordering that there is always less thawing in the fall & winter months than in the summer months.